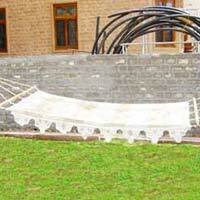 Jain Traders stands amidst the most prestigious Hammock Bed Manufacturers and Exporters from India. 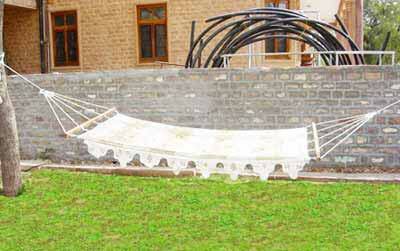 We are also one of the leading Garden Hammock suppliers in India. Our outdoor Hammock Bed is made available to the clients in varied shapes and sizes, along with enchanting designs engraved on it. Moreover, it is priced reasonably at our outlet. We are the well-known Manufacturer and Supplier of Tents. Right from Luxury Tents to sturdy Military Tents, we manufacture a comprehensive range of tents. No matter, you want to exhibit opulence through Luxury Tents or define the simplicity of life with Swiss Cottage Tents; our Tents will surely suffice your all kinds of requirements. 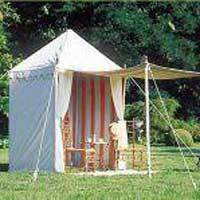 We use the high quality fabrics & materials, depending upon the nature of use of the Tent. Lastly, we are committed to offer these Tents at the most competitive market prices. As a trusted Manufacturer and Supplier, Jain Traders has been presenting the finest collection of Beach Umbrellas to you. Our Beach Umbrellas are exclusively made from Sun-Reflective materials, which make you feel comfortable in its shed. 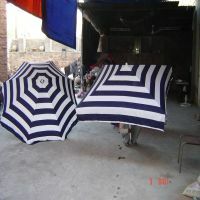 These Beach Umbrellas are available in Multi Color and Design Options, thus you get a great variety to choose from.